United exceeded their authority. This was not a case of denial of boarding but one of refusal to transport. And to free up a seat for one of their own employees is not a permissible reason for refusal to transport. Even denial of boarding – which this wasn’t – would only be permitted in a case of over booking. This was not such a case. United is going to get screwed over in court – if it ever gets there. The should settle quickly if they want to get past this. Not that they can’t afford it. Their CEO will probably get a bonus of about $13 million. Most of the coverage of the United Airlines bumping debacle assumes something like, “United Airlines had a right to remove that flier. But should it have?” But a close reading of the fine print of the contract included in every ticket purchased from United Continental Holdings Inc. strongly suggests that United in fact breached its contract with passenger David Dao. The contract allows the airline to deny boarding involuntarily in case of overbooking. But that’s not what happened; the airplane wasn’t oversold. And Dao wasn’t denied boarding. As far as we know, he was removed from a seat he had already taken after being assigned to it. The contract’s specific provisions for removing travelers or refusing to transport them don’t include the airline’s desire to free up seats, whether for its own employees, as in this case, or for other passengers. ……. Rule 25(A)(2) of the contract applies to “oversold flights.” It says that “no one may be denied boarding against his/her will” until the airline asks for volunteers. Then, “if there are not enough volunteers, other Passengers may be denied boarding involuntarily in accordance with United Airlines’ boarding priority.” ………. ……. But all this is about “oversold flights,” which are defined in the contract as “a flight where there are more passengers holding valid confirmed tickets that check-in for the flight within the prescribed check-in time than there are available seats.” That’s a grammatically poor definition, but it’s pretty clear that it doesn’t apply to a situation where the flight isn’t oversold, but the airline wants to add its own employees. What’s more, this entire section of the contract is about denial of boarding — which is legally different from “removal,” which is discussed in an entirely different section of the contract. Rule 21 of the contract covers “refusal of transport” and includes involuntary removal of a passenger from a plane. It includes a wide variety of misdeeds, from the serious (deadly weapons) to the trivial (barefoot). But nowhere does this section authorize removal or refusal to transport for no reason other than that the airline needs the seat. That seems pretty unambiguous. Actually a fairly straightforward breach of contract and unauthorised (also uncouth) behaviour on the part of United. Yesterday Tesla’s market cap exceeded General Motors for a short while. I can’t help feeling that the balloon is being pumped and some will make a lot of money before it bursts. (GM produces over 9 million vehicles annually while Tesla produces around 80,000 cars). Tesla has yet to make a profit. The revenue/debt ratio is unhealthy. 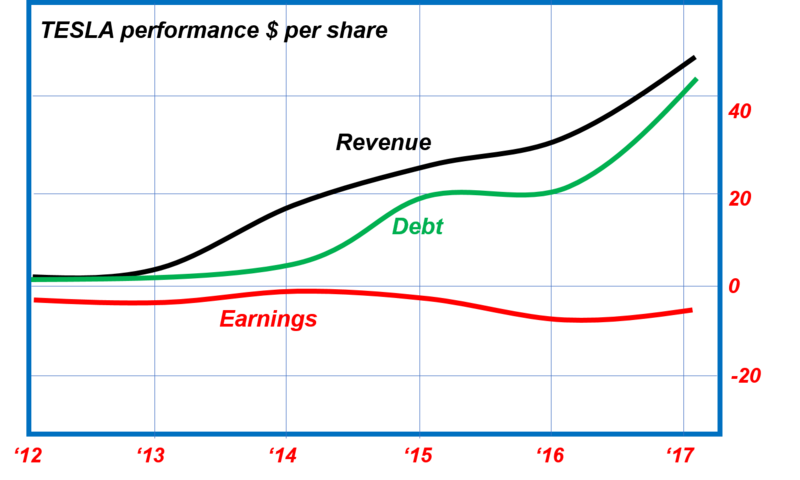 The gap between revenue and debt is reducing which means that every new dollar of revenue is requiring more than one dollar of debt!! The best investment in Tesla is, I think, to buy a well subsidised Tesla car rather than to buy stock. The original owners who have had their investments pumped up by subsidies are long gone. For those who own stock now, the key is going to be to sell before the balloon bursts. The Swedish Prime Minister, Stefan Löfven is visiting Saudi Arabia over the weekend with a couple of business leaders to try and recover some of ground lost by Swedish businesses in Saudi Arabia. Needless to say, the Swedish Foreign Minister Margot Wallström does not seem to be accompanying him. She, of course, was the one who soured relations with Saudi Arabia to such an extent that Swedish industry is not happy. There are many stories of business opportunities lost because of Wallströms “holier than thou” diplomacy. It was in early 2015 that Margot Wallström and the left green coalition made a great display of their moral superiority and caused some diplomatic consternation. They called Saudi Arabia nasty, very undiplomatic names (all true but not how a Foreign Minister is expected to behave), saw to it that a defence agreement was cancelled and recognised Palestine. 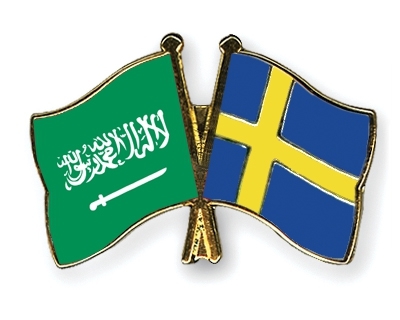 The Saudis recalled their Ambassador, banned Margot Wallström from giving a speech to the Arab League, denied visas to Swedes and made life difficult for Swedish firms doing business in Saudi Arabia. Eventually the King of Sweden sent a letter carried by Björn von Sydow to Saudi in March 2015 apologising for Wallström and managed – monarch to monarch – to cool down some of the Saudi anger. But the Greens and the left of the Social Democrats forgot that they were actually in government and were not just an irresponsible lobby group like Greenpeace or the WWF indulging in publicity pranks. They were so mesmerised by the idea of showing off their moral credentials that the intention to terminate the defense agreement was announced in a great blaze of self-righteous publicity. The Prime Minister Stefan Löfven (an old trade unionist with a good understanding of the importance of jobs) actually wanted to extend the agreement. But he was over-ruled by his far left and the Greens. His Foreign Minister, Margot Wallström (who, unlike the Greens, is old enough to know better), was more obsessed with demonstrating how Swedish foreign policy was feminist and green and occupied the moral high ground than in promoting Swedish interests and values. And so she forgot about her duties as a Foreign Minister and sharply criticised Saudi Arabia in most undiplomatic language. It verges on incompetence that the consequences of her statements were not analysed. On this trip Löfven will be accompanied by Marcus Wallenberg of Investor, and Maria Rankka from the Swedish Chamber of Commerce. I don’t expect that Löfven will bring up the funding emanating from Saudi sources for IS in particular or for Sunni extremists in other places. A UK delegation to India to secure jobs in Wales. Does not need much further comment. UK union leaders have held talks in India ahead of a Tata Steel board meeting that could decide the fate of thousands of workers. Officials from the Community union had “constructive” talks with Tata Steel representatives in Mumbai, where the board is meeting on Tuesday. The future of thousands of UK steelworkers is at stake. The Port Talbot plant in south Wales suffered most of the 1,000 job losses announced in January. 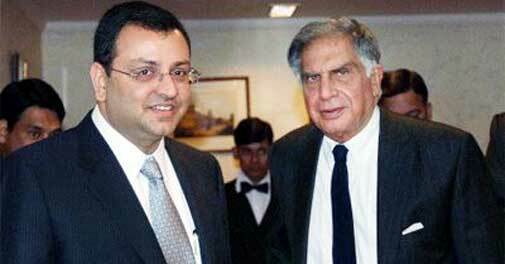 Unless Tata goes ahead with a turnaround plan, the future of the huge plant could be in doubt. Roy Rickhuss, general secretary of Community, along with Stephen Kinnock, MP for Aberavon, and Frits van Wieringen, chairman of the Tata Steel European works council, met in Mumbai with senior representatives of Tata Steel ahead of Tuesday’s board meeting. A Community spokesman said the meeting was “open and constructive”, with the European delegates making the case for Tata to continue to support the UK business. The myth in the UK that India gained more from British rule than the economic benefits squeezed out of India is addressed very well by Shashi Tharoor in his speech at the Oxford Union. This morning Brent oil fell to less than $30 for the first time in 12 years. 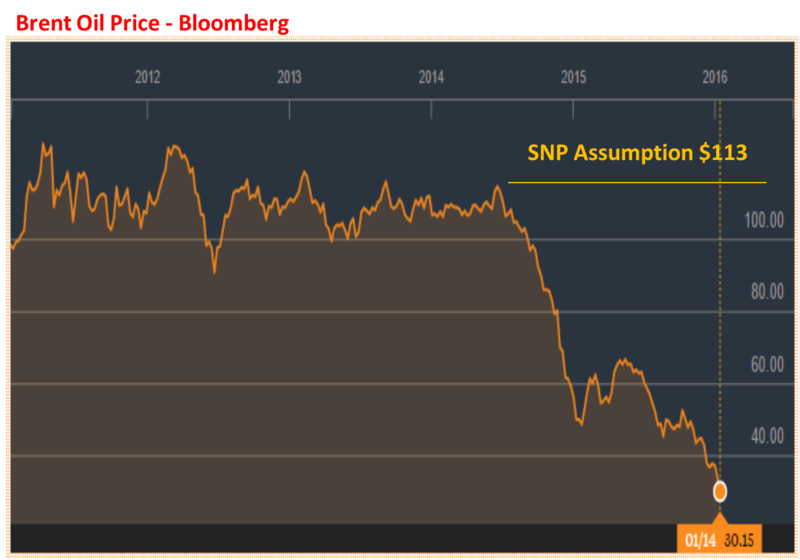 During the Scotland independence campaign, the Scottish National Party based its projections and campaign on an oil price of $113 going forward and that would have provided revenues of about £7 billion per year. At current prices the oil revenue accruing to the Scottish budget would be less than £0.1 billion compared to the planned for £7 billion per year. Back in July 2015, the expected revenue (at $45/barrel) was reduced to be about £0.16 billion per year (£800 million in 5 years). This is just the impact of price. Considering the reduction in market share and reduced volume, the revenue is likely to fall well short of that and not much more than £0.08 billion per year (£400 million over 5 years). With actual oil revenues at just 10-15% of what was assumed, an independent Scotland would now be close to default and a declaration of bankruptcy. At least Scotland is a little more diverse and not quite as dependent on oil revenues as Norway is. But Norway is now dipping heavily into the huge oil fund it has stashed away over the good years. But even with the fund, the Norwegian kronor has lost about 30% of its value in the last year. Scotland, of course, has no such fund to fall back upon. the oil price is over $60 per barrel. Back in September I predicted that GE would cut about 8,000 jobs (12%) after the Alstom acquisition. It looks like my analysis was not too far off as GE announced today that 6,500 jobs in the energy units would go just in Europe. Possibly the total number of jobs cut worldwide within 12 – 18 months will have to exceed 10,000 if GE is to come close to the cost reductions it has promised its shareholders. General Electric said Wednesday it plans to cut up to 6,500 jobs in Europe in the energy units it acquired from France’s Alstom last year. “The restructuring plan will touch several European countries and impact potentially 6,500 jobs out of 35,000,” a GE spokesman told AFP, confirming in part a report in the L’Est Republican newspaper saying up to 10,000 jobs could go worldwide. The US industrial giant completed in November its acquisition of the power and grid businesses of Alstom for 9.7 billion euros ($10.5 billion) after making a number of pledges to win the support of the French government and fend off competition from rivals like German company Siemens. One of those pledges was to create a net 1,000 high-skilled jobs in France, a promise that GE intends to honour, the spokesman said, despite 765 jobs due to go in France as part of this restructuring. French government spokesman Stephane Le Foll said it would monitor the company’s implementation of its commitments. ……. … GE hasn’t provided any details about the job cuts in Europe, but L’Est Republican said 1,735 posts in Germany were slated to go, 1,219 in Switzerland, 467 in Spain and 250 in Italy. It looks like Germany and Switzerland will bear the brunt of the cuts. I was expecting Baden in Switzerland to be hard hit but had perhaps underestimated the “French protectiveness” which disadvantages Germany. Still Siemens may be able to pick up some very good people in Germany and elsewhere (though the market is not exactly in a very expansive mood). Huge stocks, declining consumption and reducing prices. Yet, Saudi Arabian oil production is running at close to maximum, Iraqi oil is increasing and Iranian oil will soon hit the market. Economic theories are being overturned and more than one economist is turning in his grave. (Economists are not, and never have been, very good at forecasts though they are all past-masters at generating theories based on back-casts). Now, the experts are beginning to contemplate what has been unthinkable so far – oil price diving to $10/barrel. Reuters: Crude oil fell 3 percent on Tuesday, heading toward $30 per barrel and levels not seen in over a decade, with analysts scrambling to cut their price forecasts and traders betting on further declines. Prices are down around 20 percent since the start of the year, dragged lower by soaring oversupply, China’s weakening economy and stock market turmoil, as well as the strong dollar, which makes it more expensive for countries using other currencies to buy oil. …… On the supply side, Iraq, which has become the second biggest producer within the Organization of the Petroleum Exporting Countries (OPEC), plans to export a record of around 3.63 million barrels per day (bpd) from its southern oil terminals in February, trade sources said on Tuesday, citing a preliminary loading program, up 8 percent from this month. “The near-term outlook for the oil market is bleak. OPEC is producing flat-out into a market that is oversupplied by over 1 million barrels per day; already decelerating demand growth could further decay with slowing economic activity; and OECD inventories that are already at record levels are likely to expand through at least the middle of the year,” Jefferies said on Tuesday. Adjusting to the price rout, analysts have been shifting their price outlooks downward, with Barclays, Macquarie, Bank of America Merrill Lynch, Standard Chartered and Societe Generale all cutting their 2016 oil forecasts this week. StanChart took the most bearish view, saying prices could drop as low as $10 a barrel. “We think prices could fall as low as $10/bbl before most of the money managers in the market conceded that matters had gone too far,” the bank said. In my simplistic view, a reducing price for something I consume is fundamentally a “good thing”. But I can’t help feeling that this price drop is not a sound, sustainable reduction based on cost reduction. It is manipulated and artificial and is due to a misguided Saudi strategy against shale oil, Russian oil and Iran. And it is going horribly wrong. 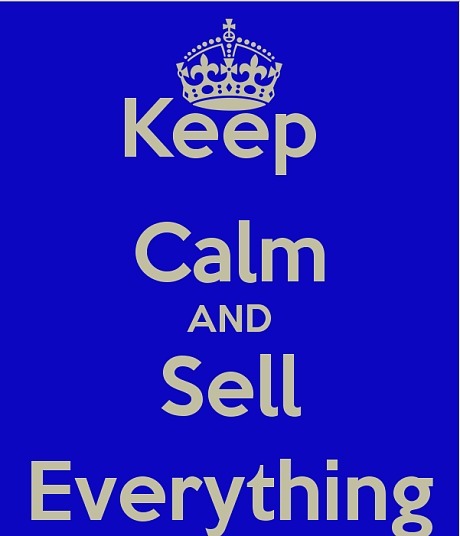 The Royal Bank of Scotland is predicting a “cataclysmic” 2016 and advising its clients to “sell everything” except high quality bonds. 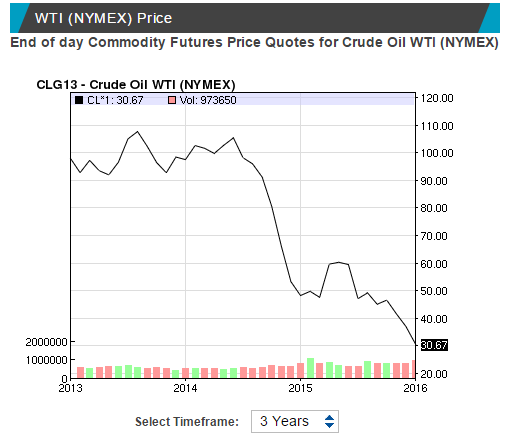 Stocks will collapse by 10 – 20% and oil will drop to $16/barrel. As pessimism goes this is not just “Doom” it is “Painful and Imminent Doom”. The RBS team are clearly expecting an increasing panic feeding on itself, since there are “few exit doors”. Certainly their dire scenario will itself contribute to the darkening “mood”. For the modest investor there are few “good” options. The task for them is not so much looking for upsides but one of limiting the downsides. It is probably best to just rely on the wisdom of the Godfather. Convert to cash and “go to the mattresses”. Andrew Roberts, the bank’s credit chief, said that global trade and loans are contracting, a nasty cocktail for corporate balance sheets and equity earnings. This is particularly ominous given that global debt ratios have reached record highs. “China has set off a major correction and it is going to snowball. Equities and credit have become very dangerous, and we have hardly even begun to retrace the ‘Goldlocks love-in’ of the last two years,” he said. 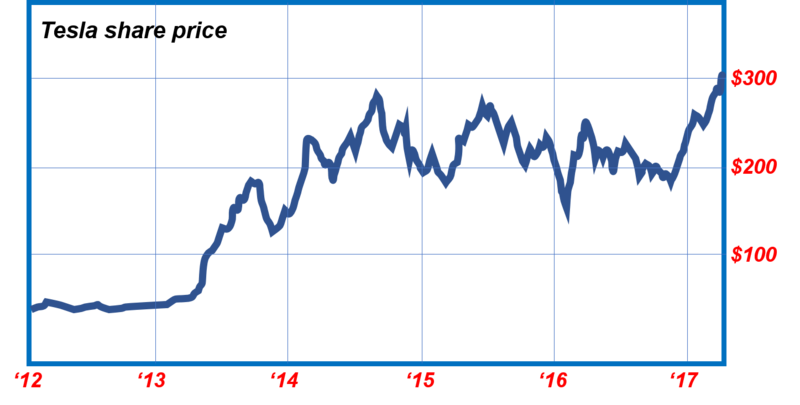 Mr Roberts expects Wall Street and European stocks to fall by 10pc to 20pc, with even an deeper slide for the FTSE 100 given its high weighting of energy and commodities companies. “London is vulnerable to a negative shock. All these people who are ‘long’ oil and mining companies thinking that the dividends are safe are going to discover that they’re not at all safe,” he said. …. Brent oil prices will continue to slide after breaking through a key technical level at $34.40, RBS claimed, with a “bear flag” and “Fibonacci” signals pointing to a floor of $16, a level last seen after the East Asia crisis in 1999. The bank said a paralysed OPEC seems incapable of responding to a deepening slowdown in Asia, now the swing region for global oil demand. Morgan Stanley has also slashed its oil forecast, warning that Brent could fall to $20 if the US dollar keeps rising. It argued that oil is intensely leveraged to any move in the dollar and is now playing second fiddle to currency effects. RBS forecast that yields on 10-year German Bunds would fall time to an all-time low of 0.16pc in a flight to safety, and may break zero as deflationary forces tighten their grip. The European Central Bank’s policy rate will fall to -0.7pc. US Treasuries will fall to rock-bottom levels in sympathy, hammering hedge funds that have shorted US bonds in a very crowded “reflation trade”. ……….. Bearish global commodities (hards, softs, fluids). And more specifically . . . It could be a bad year for the small investor.